You have your dream house but you also have your mortgage payments which are long overdue. Bills are piling up and so do other unpaid debts. You realize, you are really neck-deep in debt and you might just lose your house. You know that without a second mortgage, you could afford your payments. You absolutely do not want to lose the house you worked hard for. What should you do? The answer may be a lien strip. When foreclosure seems to be evident because of a dire financial situation, bankruptcy may be your last resort to save your home. 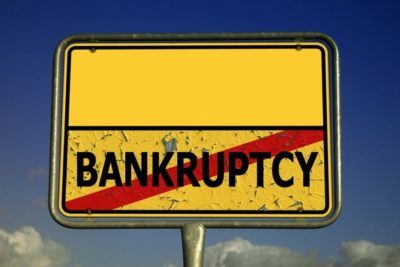 While filing Chapter 7 bankruptcy may delay the foreclosure by a few months filing Chapter 13 bankruptcy before the sale date can stop the foreclosure. Your regular monthly mortgage payments will resume after the filing of the bankruptcy and the payments that you were behind prior to filing bankruptcy will be updated through the three or five-year Chapter 13 Plan of Reorganization. While filing for bankruptcy can stop or delay foreclosure on your home, it is important to contact a skilled bankruptcy attorney immediately, to help you with the next step and even create a repayment plan to successfully protect your home. If the value of your house has depreciated, another option is to “strip off” the second mortgage against your home through a Chapter 13 bankruptcy tool called “lien stripping”. Through a lien strip, the bankruptcy court takes your second mortgage (which is classified as a secured debt where the lender can foreclose on your property if you miss your payments) and converts it to an unsecured debt (such as credit card debt) by ordering the lender to remove its lien from the property. The status of a lien – as secured or unsecured – plays a big role in designing the repayment of the debt in the bankruptcy process. In Chapter 13 bankruptcy repayment plans, secured debts are paid off first and unsecured debts are delayed. Having a lien stripped in Chapter 13 bankruptcy can amount to a big difference in the repayment and help you out in your financial condition. Lien stripping is also a complex process. You would need to consult a seasoned bankruptcy lawyer who can break it down for you. The property is less than 2.5 acres in size and is used for either a single one-family or single two-family dwelling. If your Phoenix home is in foreclosure and has not yet been sold, you are not out of options. Contact our experienced bankruptcy attorney and learn about the possible ways you can save your home.